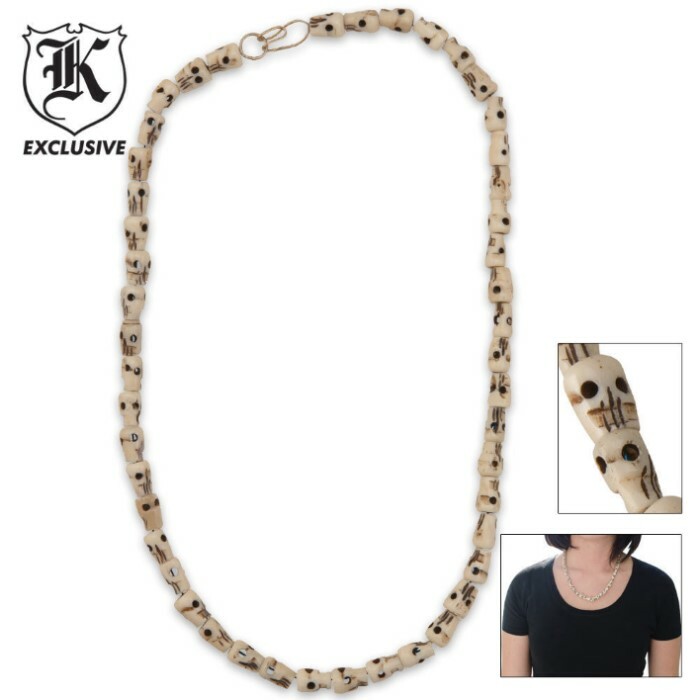 Camel Bone Human Face Necklace 19 Inch | BUDK.com - Knives & Swords At The Lowest Prices! You'll surely turn some heads when you wear this camel bone skull necklace! The beads are carved of genuine camel bone in the shape of a real human skull. You've never seen anything like this necklace before!